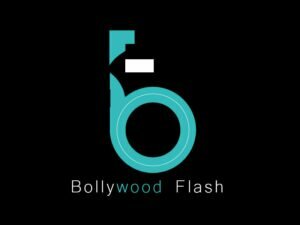 The time has come when Bollywood Fan Clubs have decided to come together, to show their love for Varun Dhawan and bring the First Day First Show aspect of Bollywood Culture back with a Bang! A Varun Dhawan’s fan, Anuj Ali will be attending this event all the way from Narayanganj, Bangladesh. In the past, Anuj kept a fast for the success of Badlapur & Varun Dhawan has even mentioned this in an interview. This will be the very first time Anuj will get to meet his Idol thanks to this initiative by BollyCon. In a time when multiplexes find it harder and harder to have high occupancy, such initiatives & formats that understand & focus on Bollywood Culture could possibly help recreate the much-needed box-office magic in domestic markets. Shoojit Sircar’s October will show Dhawan in a very different light from his previous avatar’s. Critics have been hailing the movie as a cinematic gem. As observed with Dangal and Secret Superstar, these kinds of stories are also a big hit in international markets, especially in China. Next articleNamah Pictures brings the Majid Majidi magic to India! Ranjha Vikram Singh slaying the summer look!